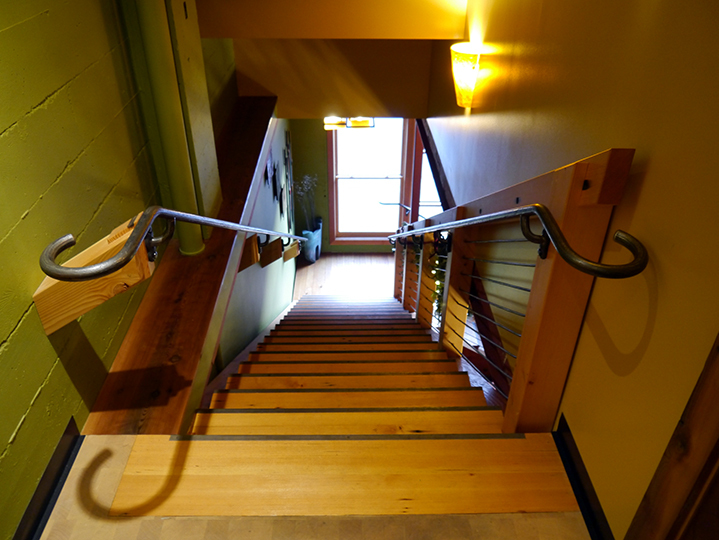 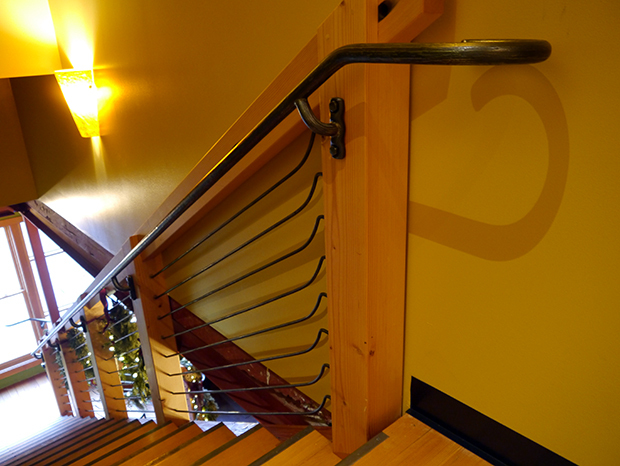 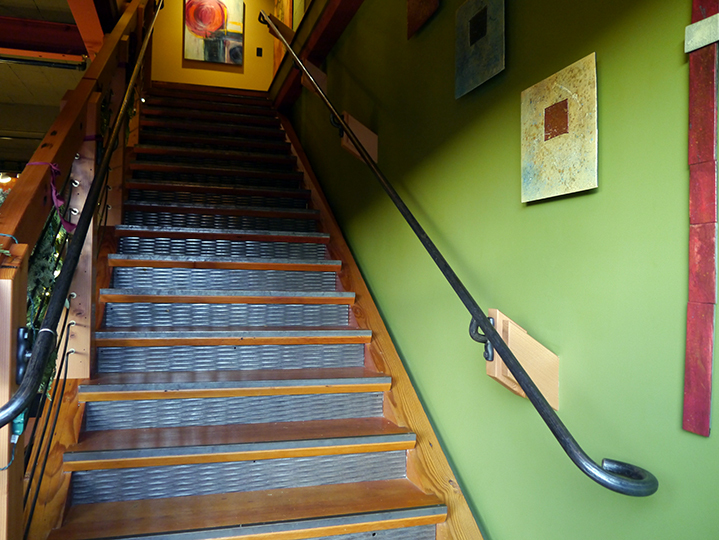 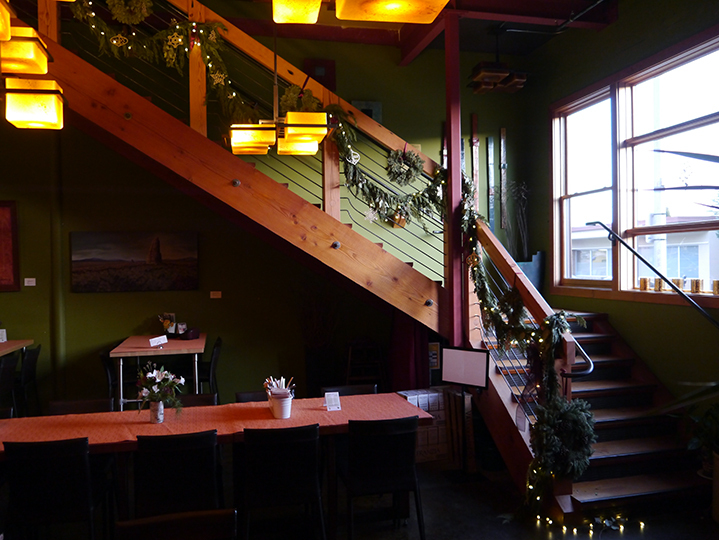 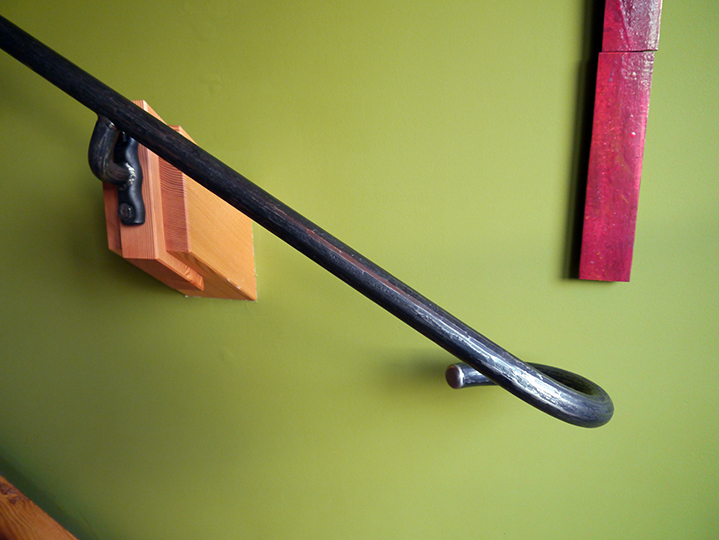 This fully forged steel railing invites you from the open kitchen restaurant up to a beautiful event space. 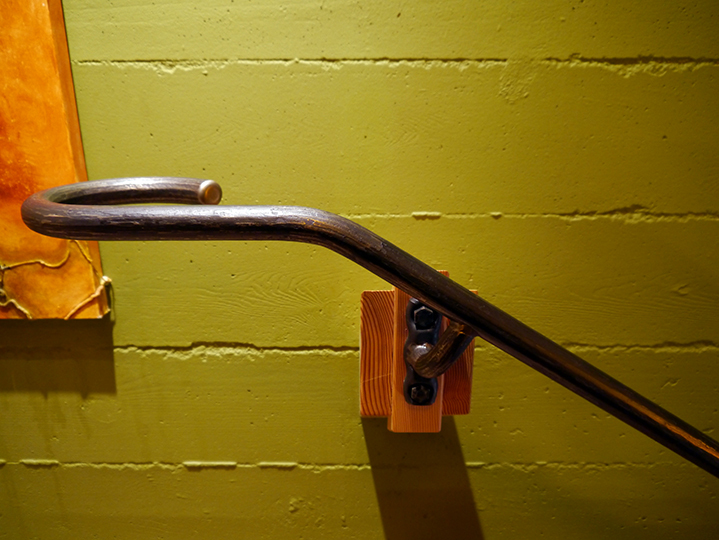 The design aims to find an elegant balance between commercial code and a unique rustic style. 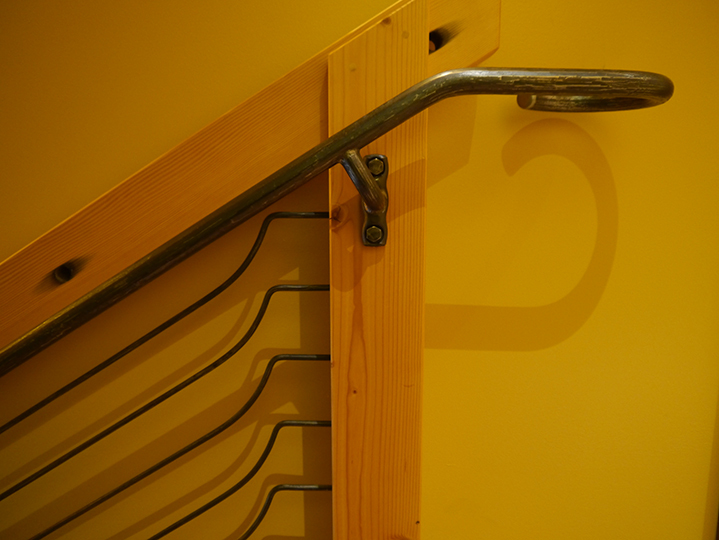 The woodworking was done by Barraa woodworking.